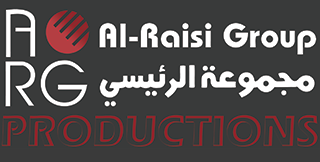 Established in 1997 ARG has grown to become one of the leading event management and production companies in the Middle East. Our event coverage is indicative of our diversity; we have managed corporate product launches, dealer meets, press conferences relating to large sporting events, weddings TV production shoots, music festivals and concerts. Our inventory list includes some of the finest and most advanced equipment available worldwide. We continually update and add to our stock in line with technological advances and your event needs. Our client servicing team includes personnel with over 15 years of experience in the field. All staff retains an excellent eye for detail with the necessary creative skills to promote your products and services effectively. We continue to build on our strengths, notably the ability to communicate the essence of a client’s business and products to an audience, while always adding to our extensive knowledge of event production and management. Our core technical team includes Engineers, Designers, and Technicians who evaluate and assess all requirements beforehand to ensure your event is delivered effectively.